Outside Japan, when people hear Kansai, the first prefectures that come to mind are Osaka, Kyoto, and Nara. They are the holy trinity of Kansai tourism. And it’s not difficult at all to see why. The trio offers a perfect blend of modernity, heritage, and entertainment. But Kansai is more than just these tourism powerhouses. 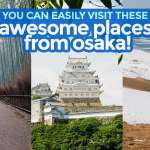 The region is made up seven amazing prefectures, each with something unique and fascinating to offer to curious travelers. One of them is Mie. Mie Prefecture occupies the eastern coast of the Kansai Region and shares western borders with Shiga, Nara, and Wakayama. Because of its proximity to Gifu and Aichi prefectures, Mie’s culture has some influences from these neighbors too. In fact, Mie is also considered part of Shoryudo Region, an area that also comprises Central Japan prefectures. Mie enjoys a booming domestic tourism, but in many other countries, it is often unheard of. Allow us to give you some of the reasons why you should add Mie to your next Japan itinerary! 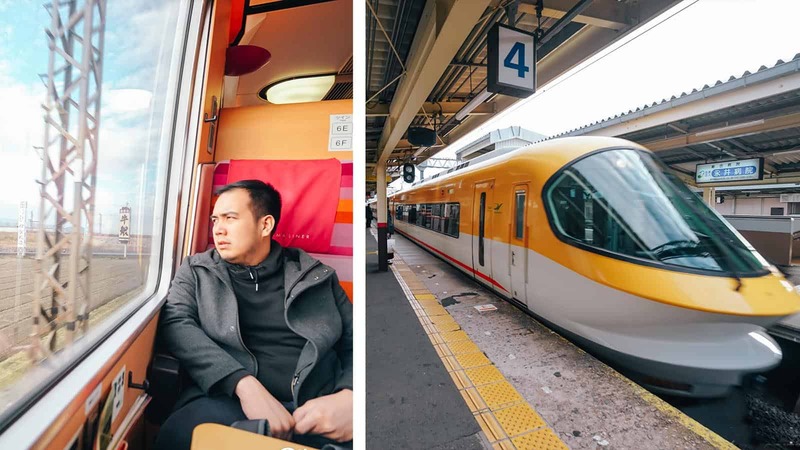 But before that, let me first introduce to you something that you might want to consider in order to save a lot as you explore around Mie and the rest of Kansai: the Kintetsu Rail Pass. KINTETSU RAIL PASS (regular), which is valid for 5 days for Kintetsu train lines. Cost: ¥3600. KINTETSU RAIL PASS plus (emphasis on the plus), which is valid for 5 days for Kintetsu trains as well as buses in Nara and Mie areas. Cost: ¥4800. KINTETSU RAIL PASS 1-Day, valid for Osaka, Nara, and Kyoto only. Cost: ¥1500. KINTETSU RAIL PASS 2-Day, valid for Osaka, Nara, and Kyoto only. Cost: ¥2500. 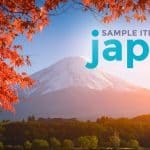 The KINTETSU RAIL PASS also gives you special deals and discounts at various attractions and stores in Kansai and Nagoya including BIC Camera stores and Nabana no Sato. For the complete list of participating establishments, visit this page. 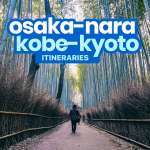 As you might have noticed, you can only use the 1-Day and 2-Day passes when traveling in Osaka, Nara, and Kyoto. Hence, since we’re going to Mie, we’re using the KINTETSU RAIL PASS plus so Kintetsu train lines and some bus routes are covered. 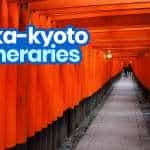 Because the KINTETSU RAIL PASS is valid for five days, the itinerary below is best added to your Nagoya or Nara itinerary. This way, you can really maximize the pass. Note that while the Kintetsu Rail Pass is accepted at Limited Express trains, it only covers the basic fare. An additional fee for the Limited Express ticket (which guarantees a reserved seat) is required. Mie is easily accessible from Osaka. The first stop in the itinerary below is Iga Ninja City, where the Ninja Museum of Iga-ryu is located. The nearest station is Uenoshi. To get there, you need to travel to Uenoshi Station. OPTION A: REGULAR TRAIN. At Osaka-Namba Station, take the Kintetsu Nara Line to either Tsuruhashi or Fuse Station. Then transfer to Kintetsu Osaka Line to Igakambe. Fare: ¥1140 without the pass, FREE with the pass. OPTION B: LIMITED EXPRESS TRAIN. 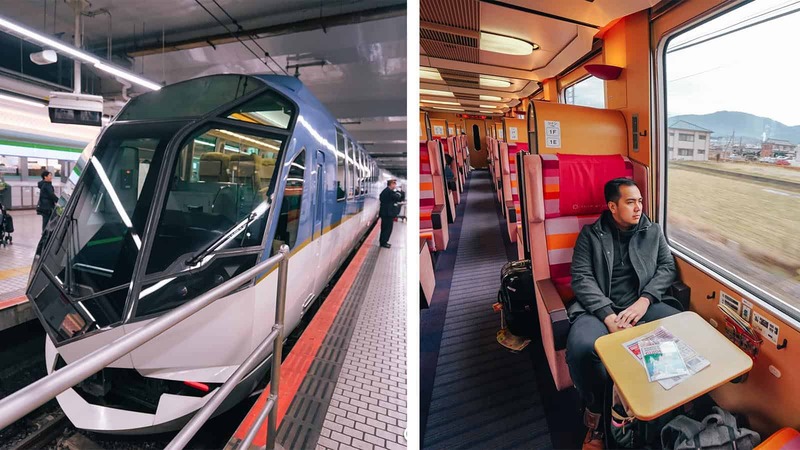 At Osaka-Namba Station, take the Kintetsu Limited Express straight to Igakambe. At Igakambe Station, switch to Iga Railway to Uenoshi Station. Now this is an interesting leg because Iga Railway is often called Ninja Train. 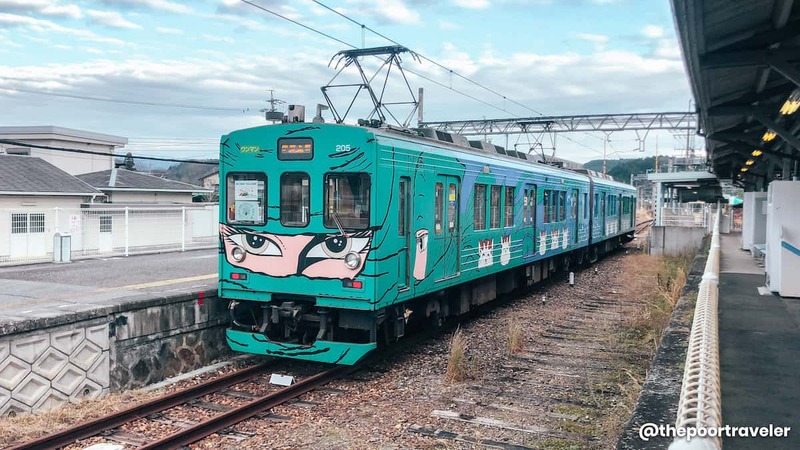 Thanks to the images of kunoichi (female ninja) painted on the exterior of its trains. 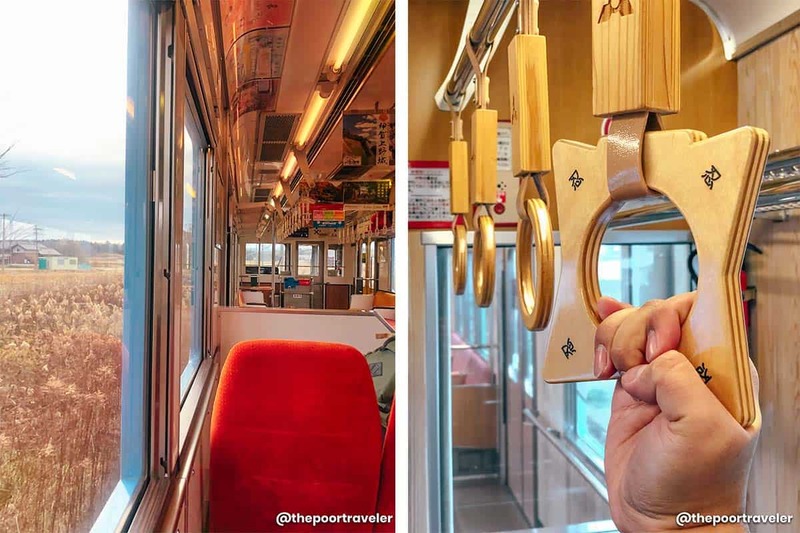 It’s super cool because even the interior pieces like handles are ninja-inspired! Fare: ¥360 without the pass, FREE with the pass. Most of us are very familiar with ninja! We’ve seen it in movies, anime series, and many other forms of entertainment. But for the longest time here in Iga City’s Ueno area, ninjutsu is a way of life. Iga City is widely regarded as the origin of Iga-ryu, one of the two ninja traditions that became well-known in Japan. (The other one is kouka-ryu which has roots in Shiga prefecture.) Unlike the samurai, who is often a celebrated warrior, a ninja has to stay low profile. Ninjas are spies. Although they are also trained to fight, it is not their primary duty. Their main role was to guard or steal confidential information and other items. 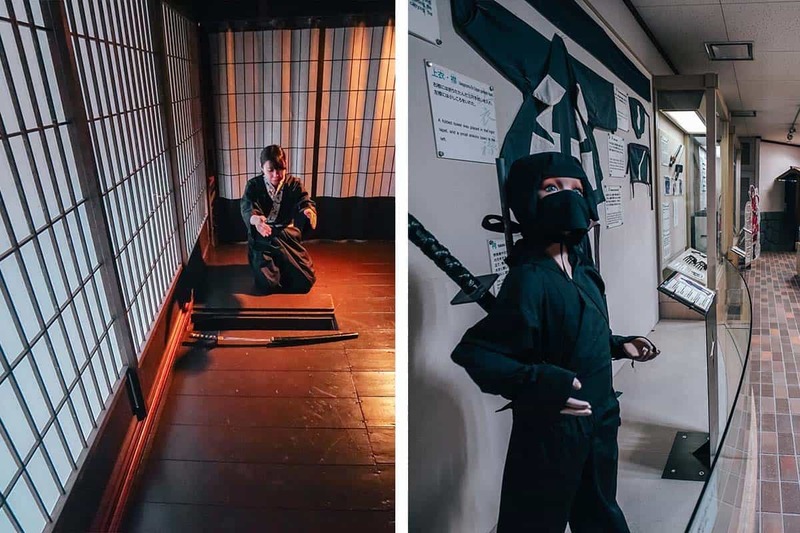 The ways of the ninja are showcased at Iga-ryu Ninja Museum, which was modeled after a real ninja house. From the outside, the museum doesn’t look much. It appears just like an ordinary one-story bungalow. But that’s the whole point. Ninja houses back in the day must not draw attention. But it’s full of surprises. Inside, you’ll discover all the tricks that will allow them to hide their assets and escape the house in case of an attack. There are secret doors and hidden rooms, as well as other mind-blowing inventions. The house also has three levels inside, with the top floor often used as a place to produce gunpowder. 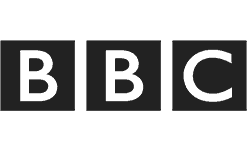 Beneath the surface is an underground tunnel that is turned into a museum. You’ll find truckloads of information about ninja here! They also stage ninja shows on some days! Aside from the ninja museum, you can also drop by Ueno Castle, located just next to it. 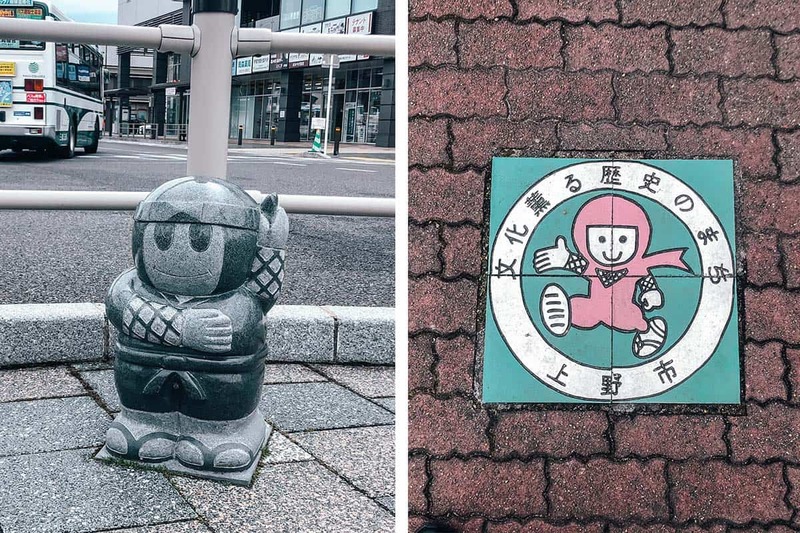 You’ll also find images of ninja everywhere: from lockers at the train station to random ninja statues! Entrance fee: ¥756 without the pass, ¥594 with KINTETSU RAIL PASS. Board the Iga Railway back to Igakambe Station. OPTION A. At Igakambe, take Kintetsu Osaka Line to Isenakagawa Station then switch to Kintetsu Nagoya Line Express to Kintetsu Nagashima Station.  Travel time: around 107 minutes. Fare: ¥1320 without the pass, FREE with the pass. OPTION B. At Igakambe, take Kintetsu Limited Express to Isenakagawa Station then switch to another Limited Express train on Nagoya Line to Kuwana or Kintetsu-Yokkaichi. Then transfer to a local train to Kintetsu-Nagashima Station. Fare: ¥1320 without the pass, FREE with the pass. 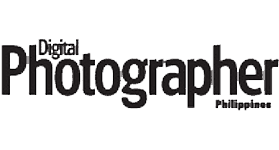 Additional Fee: ¥900 to ¥1320. At Kintetsu-Nagashima Station, take the shuttle bus to Nabana no Sato. This bus route is operational only during the Illumination months. Outside this period, you can catch the bus at Kuwana Station. Fare: ¥220 without the pass; FREE with the pass. The Nagashima Resort is perhaps Mie’s most popular vacation spot. Located in Kuwana City, on the northeastern edge of the prefecture, it is often mistaken to be in Nagoya by foreign tourists because of it is also easily accessible from the Aichi capital. 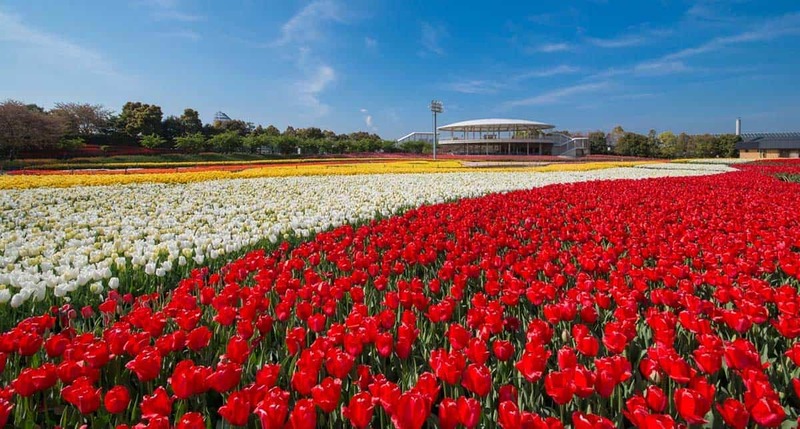 The property is composed of four major facilities — Nagashima Spaland, a theme park; Nagashima Spa Yuami no Shima, a hot springs complex; Mitsui Outlet Park Jazz Dream Nagashima, a giant outlet mall; and Nabana no Sato, a flower park. Thing is, Nabana no Sato isn’t just a flower park for me. 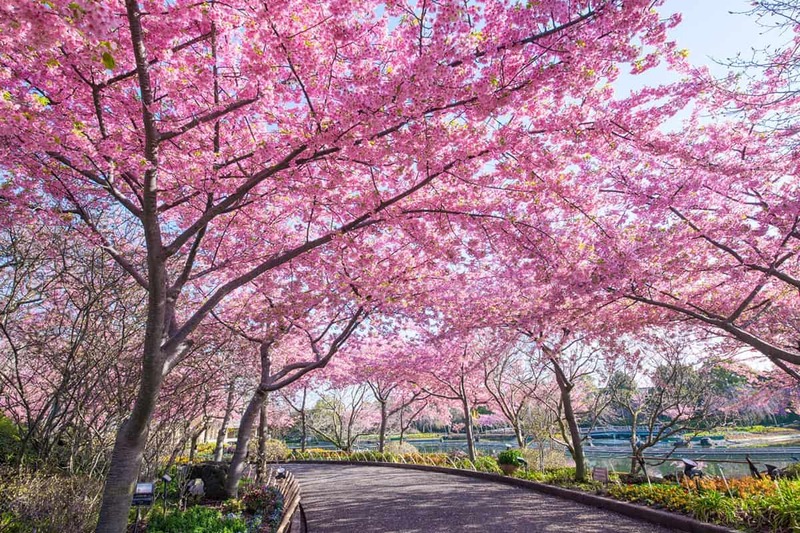 It is perhaps the most stunning flower park I have seen in Japan. There are perennial flowers. The Begonia Garden, sheltered in a giant greenhouse, is captivating year-round. But the outdoor is covered mostly by annual flowers, fostering a different atmosphere according to the season. Yet, the most magical time to visit is October to May, when the park shimmers with massive winter illumination displays! 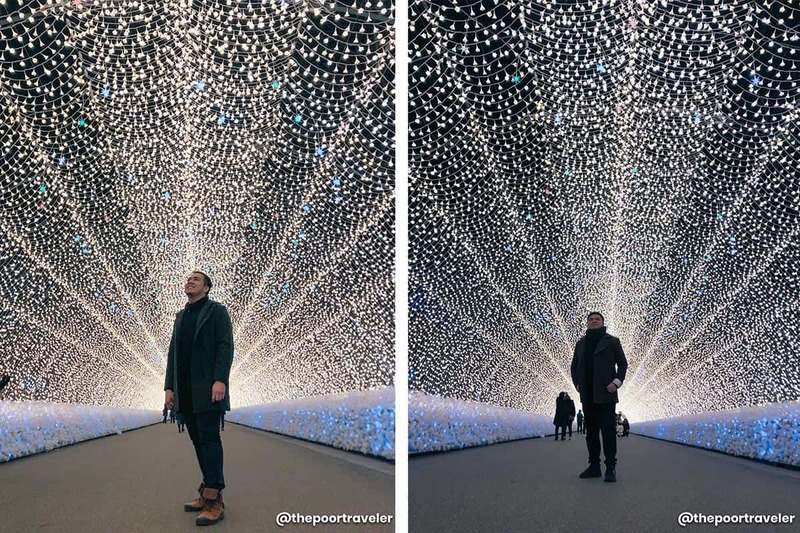 The light tunnels and Mt. 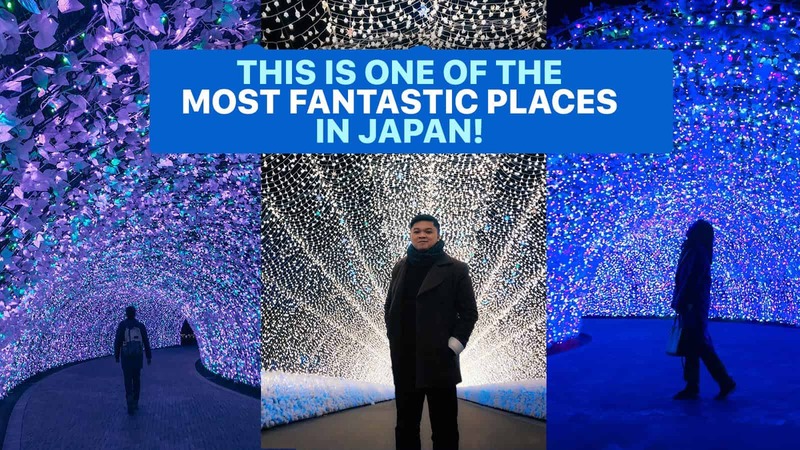 Fuji Illumination show are total crowd-magnets because they’re just so breathtakingly beautiful. Hours open: Daily, 9:00am to 09:00pm (10:00pm on illumination). However, check the schedule before you go before there are irregular closing days. 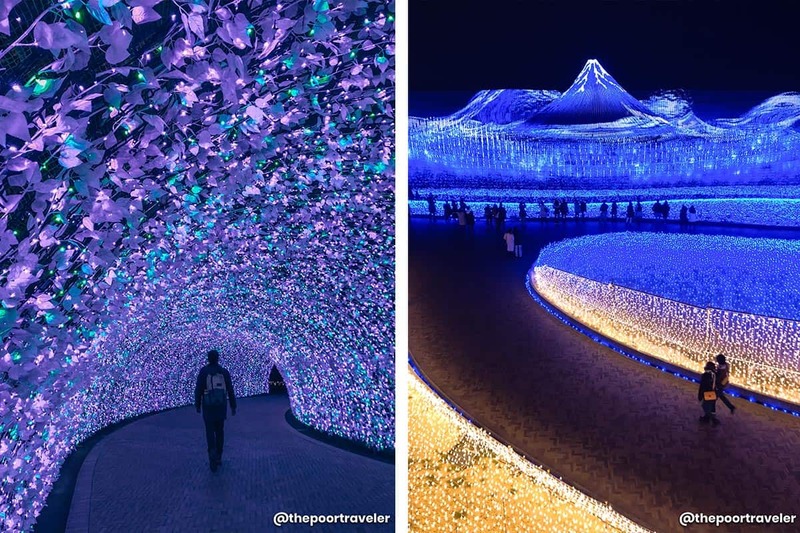 Entrance Fee: ¥1600 in spring and autumn, ¥1000 in summer, ¥2300 in winter illumination months (October to May). Fee is inclusive of a 1000 yen gift certificate that you can use inside the park. If you have a KINTETSU RAIL PASS, you’ll get a special discount off the entrance fee. 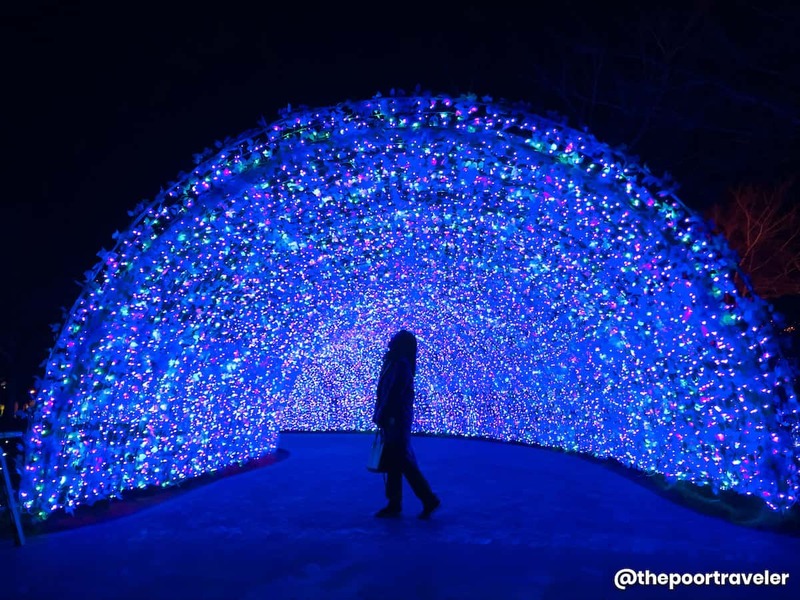 The discounted rates are: ¥1400 in spring and autumn, ¥800 in summer, ¥1800 in winter illumination months (October to May). After visiting the park, you can check in to your hotel. 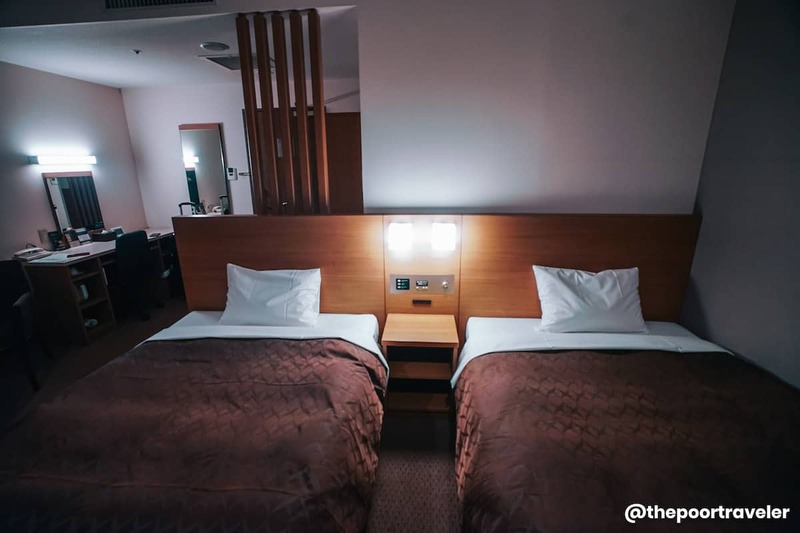 You can stay in Kuwana City, but we recommend going straight to Nagoya! To get there, take the bus back to Kintetsu-Nagashima Station (¥220). Then, take the Kintetsu Nagoya Line (Local) to Kintetsu Nagoya Station. Fare: ¥400 without the pass, FREE with the pass. Take the Kintetsu Nagoya Line Express to Isenakagawa Station, then transfer to Kintetsu Yamada Line Express to Uji Yamada Station. Fare: ¥1450 without the pass, FREE with the pass. 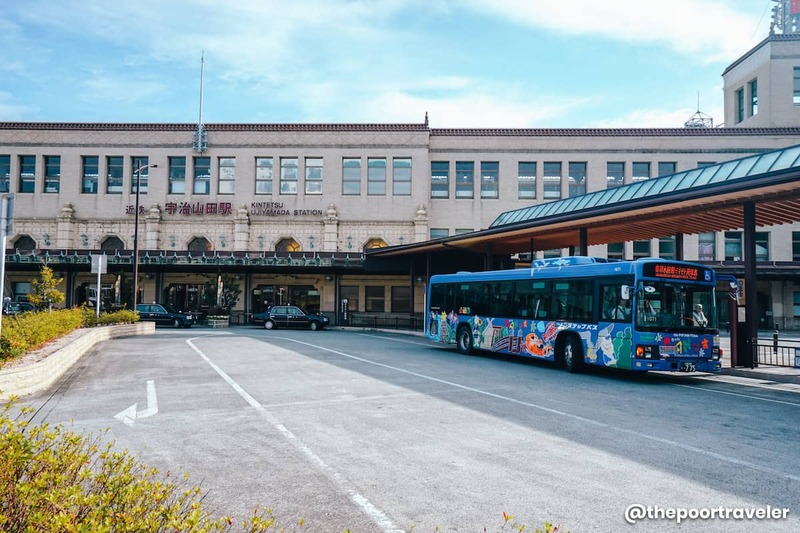 At Uji Yamada Station, take the Mie Kotsu Bus and alight at Jingu Kaikan-mae stop. Welcome to Oharaimachi! 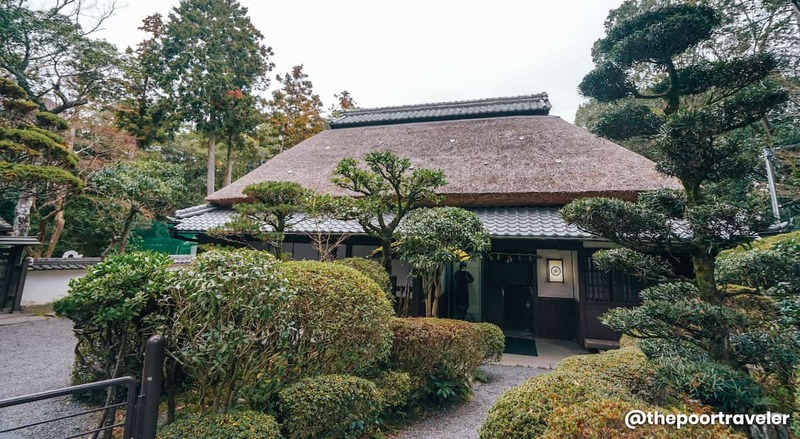 For most of its history, this small town is the approach to the Ise Grand Shrine and pilgrims make a stop here for a meal or for an overnight stay after a reflective visit. But since we didn’t have breakfast and we were really hungry, we chose to have lunch first. 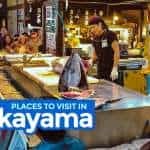 The most visited part of Oharaimachi is Okage-yokocho, a nostalgic cobblestone street that recreates the atmosphere of an Edo-period and Meiji-period town. It is lined with various restaurants, food stalls, and souvenir shops. It’s also a great place to have your first meal of the day. 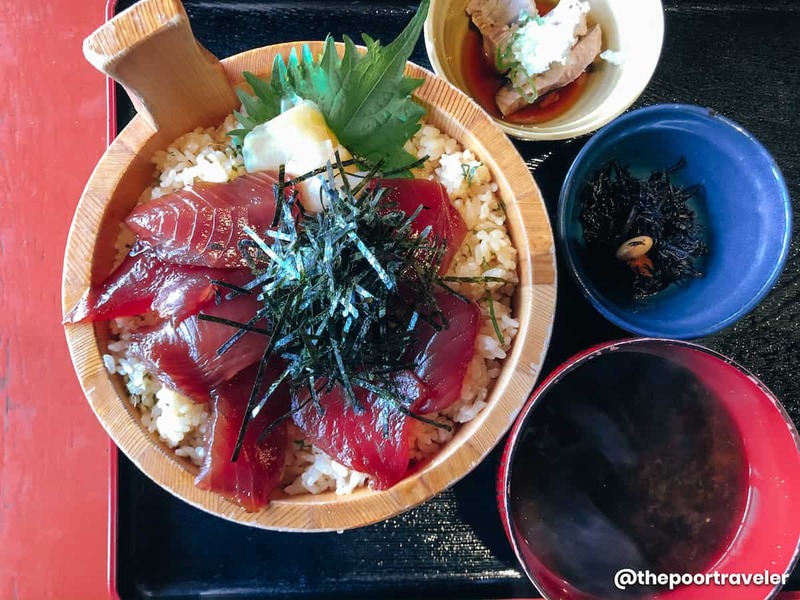 Find the restaurant called Sushi Kyu and order tekone sushi, a dish composed of bonito sashimi marinated in shoyu and served on top of vinegar-blended rice. It’s a Mie delicacy, so enjoy it while you’re here! 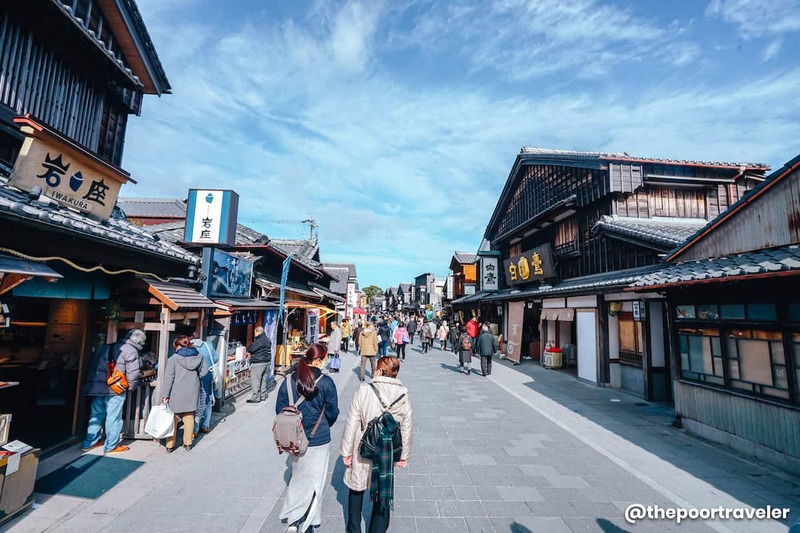 After a great meal, take a stroll around Okage-yokocho until you reach Ise Grand Shrine! 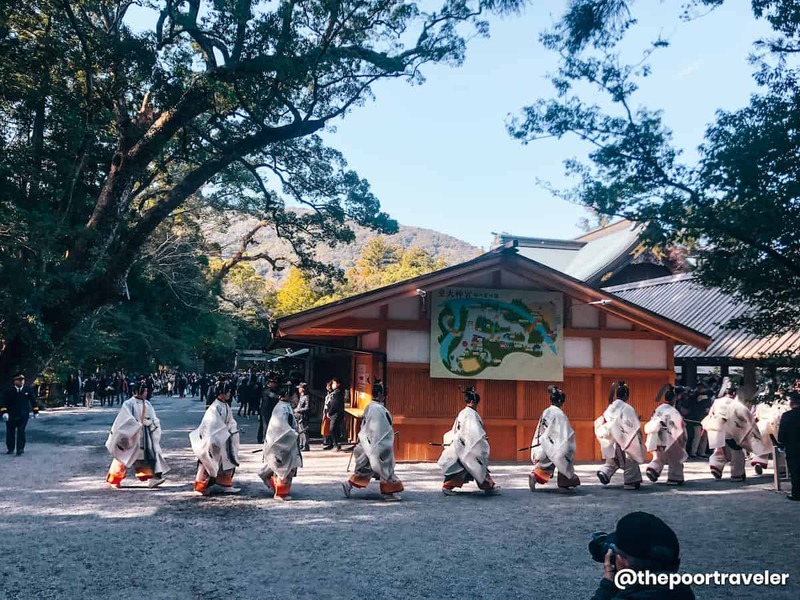 Ise Jingu is the holiest and the most sacred site in the Shinto religion. It is a complex with over 120 buildings, but these two are the most important: an outer shrine called Geku, dedicated to Toyouke-Omikami, the goddess of food, agriculture and industry; and an inner shrine called Naiku, dedicated to Amaterasu-Omikami, the goddess of the sun and the universe and the most revered Shinto deity. The shrine grounds are so vast; it can easily eat up an entire morning. It’s also covered by countless ancient cypress and cedar trees. You’ll notice that the lower part of the trunks of these trees are smooth. 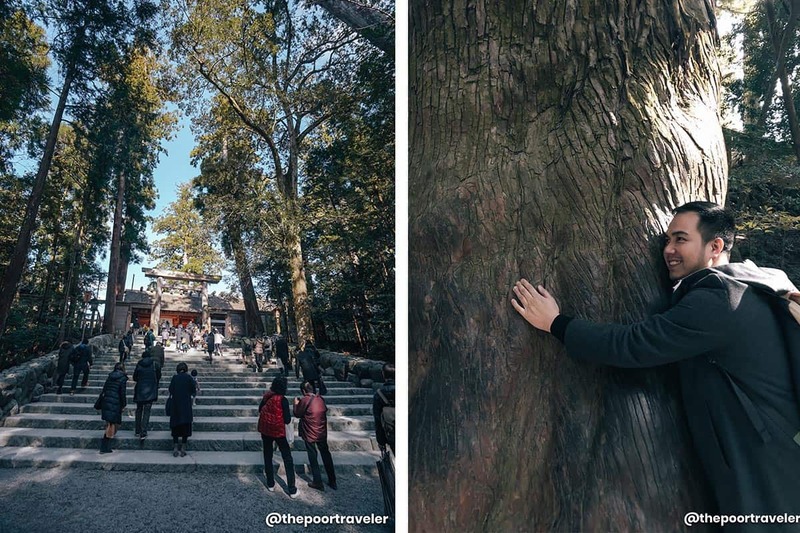 That’s because visitors keep touching and hugging them for they are believed to grant a long life. Spend a few moments to admire the Uji Bridge too, a wooden bridge that straddles Isuzugawa River and ushers visitors to Naiku. When you’re ready to go, trace your steps back to the entrance and you’ll find the Naiku-mae Bus Stop. Here, board the bus back to Uji-Yamada Station. This ride is also covered by the Kintetsu Rail Pass. Because of its sheer size, exploring Ise Shrine can be tiring. But don’t worry if you work up an appetite because soon we will be stuffing our faces with delicious food again. 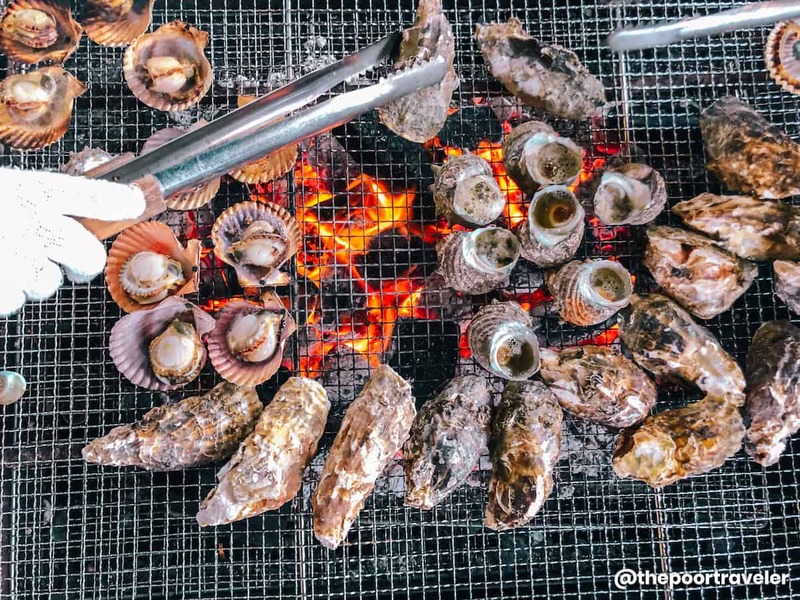 Our next stop is Hachiman Kamado, a divers’ hut where you can enjoy fresh grilled seafood. 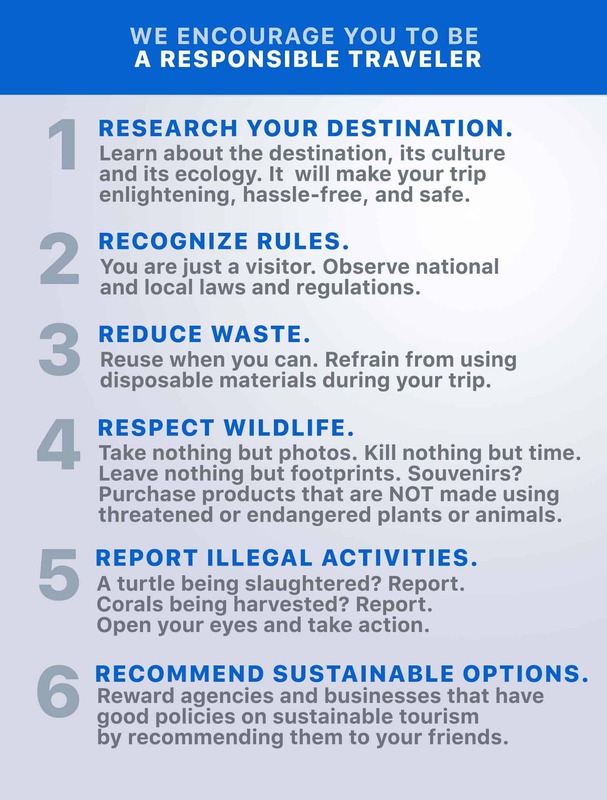 Here’s how to get there. At Uji-Yamada Station, take Kintetsu Toba Line to Toba Station. At Toba Station, you can board the free shuttle bus provided by Hachiman Kamado. Reservation is required. Travel time is usually at 11:30am, 1:00pm, and 2:30pm, but always double check with them before you go. The shuttle bus will drop you off in front of the diver’s hut. But first, let me give you a bit of background. 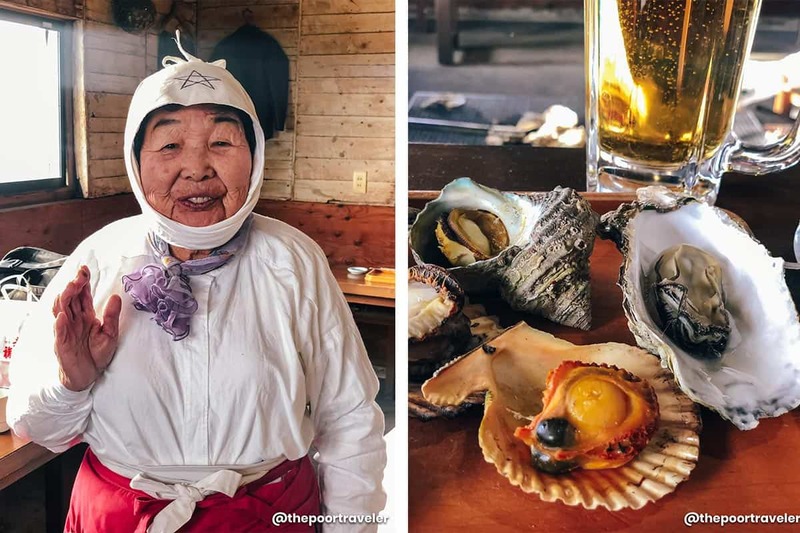 The Ama are Japanese women who dive to catch shellfish and collect pearls without the use of scuba gear. 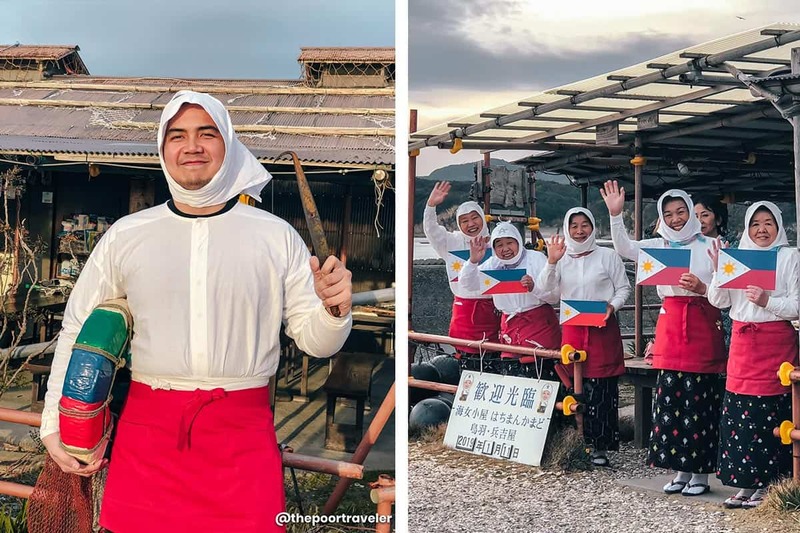 It’s freediving, traditional Japanese style! It’s a 2000-year-old practice almost always reserved for women. Today, only 2000 Ama divers exist and a huge fraction of them are here in Ise, where the tradition is still alive and kicking. The ama usually have a hut where they rest, eat, and change clothes. 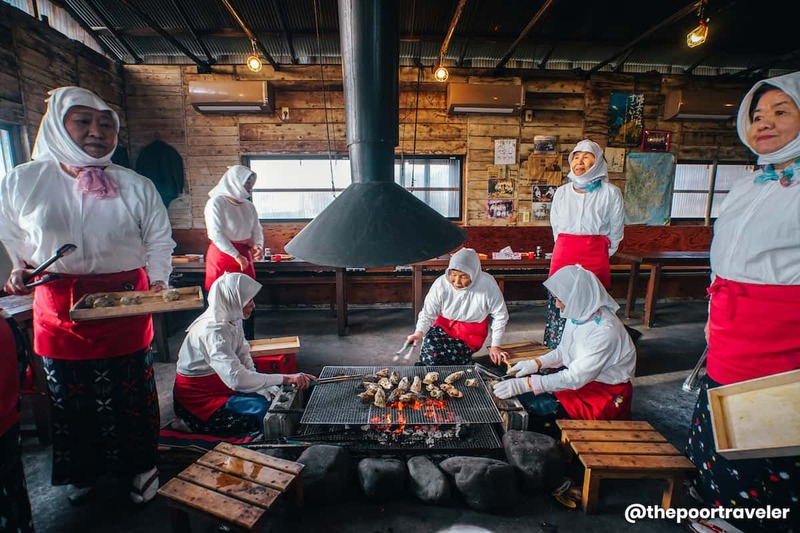 Hachiman Kamado transformed one of the Ama huts into a restaurant, where the Ama prepared and served the bounty that they caught themselves. But it’s more than just a dining spot. Here, you get to learn more about the Ama culture and meet some of them, including the beautiful Reiko Nomura, 87 years old, the oldest Ama diver in Japan. And would you believe that she can still dive? She’s also very cheerful and warm! Hachiman Kamado is best experienced as part of a group. It’s also cheaper. The price of a meal here depends on the number of people in the group. A meal usually consists of shellfish (oysters, scallops, sea snails, clams, depending on the season), sashimi, seaweed, crab soup, and pickled vegetables. The more expensive ones have more luxurious items like abalone and lobsters. The standard lunch set costs ¥3780 per person if you’re a group of 4 or more and ¥5400 if you’re a party of three or fewer. After the meal, the Ama divers will perform a folk dance and you’re free to join too! If you’re up for it, you can also try on their traditional attire. Yes, even if you’re a dude. We know because we tried it, too! Haha. The Ama ladies just couldn’t take no for an answer and we’re always game anyway. When you’re done, the shuttle will take you back to Toba Station. That’s it! From here, you can go back to Osaka or to Nagoya or to wherever you want! Here’s the summary of everything that went down. In the itinerary below, however, I used the regular trains instead of Limited Express trains not just to save money but also to demonstrate the power of the pass more clearly. This is only a 2-day itinerary. 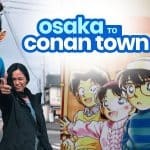 If you have more time, feel free to stay longer in Mie or add this to a bigger Japan itinerary. Note that this assumes you’re coming from Osaka and that you have a Kintetsu Rail Pass PLUS. Transit: Take Kintetsu Nara Line from Osaka-Namba Station to Tsuruhashi or Fuse Station. Then transfer to Kintetsu Osaka Line to Igakambe. FREE. Transit: Switch to Iga Railway (Ninja Train) to Uenoshi Station. FREE. Walk to Ninja Museum of Iga-ryu. Explore: Ninja Museum of Iga-ryu. Entrance Fee: ¥594 (discounted). Walk back to Uenoshi Station. Transit: Board the Ninja Train back to Igakambe Station. FREE. 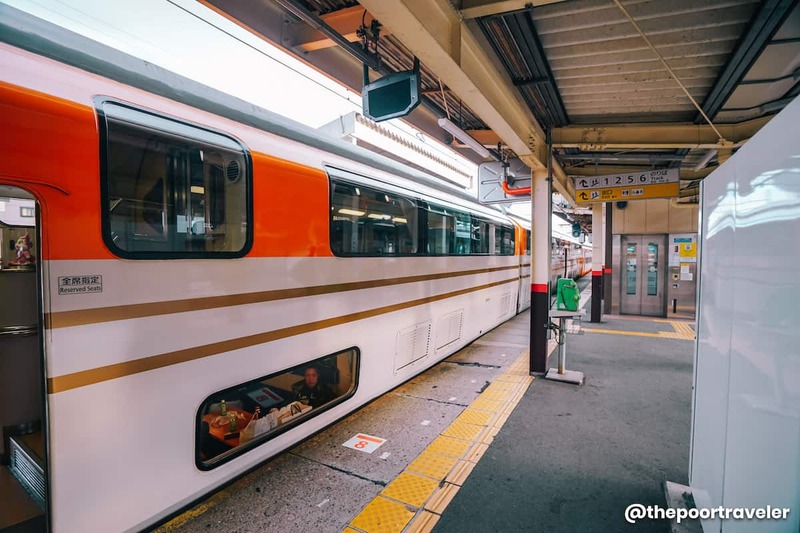 Transit: Take Kintetsu Osaka Line to Isenakagawa Station then switch to Kintetsu Nagoya Line Express to Kintetsu Nagashima Station. FREE. Transit: At Kintetsu-Nagashima Station, take the shuttle bus to Nabana no Sato. FREE. Explore: Nabana no Sato. Entrance Fee: ¥1800 (discounted). Transit: Take bus back to Kintetsu-Nagashima Station. Then, take the Kintetsu Nagoya Line (Local) to Kintetsu Nagoya Station. FREE. Transit: Take the Kintetsu Nagoya Line Express to Isenakagawa Station, then transfer to Kintetsu Yamada Line Express to Uji Yamada Station. FREE. Transit: At Uji Yamada Station, take the Mie Kotsu Bus and alight at Jingu Kaikan-mae stop. FREE. Early LUNCH. Sushikyu. Budget: ¥2000. 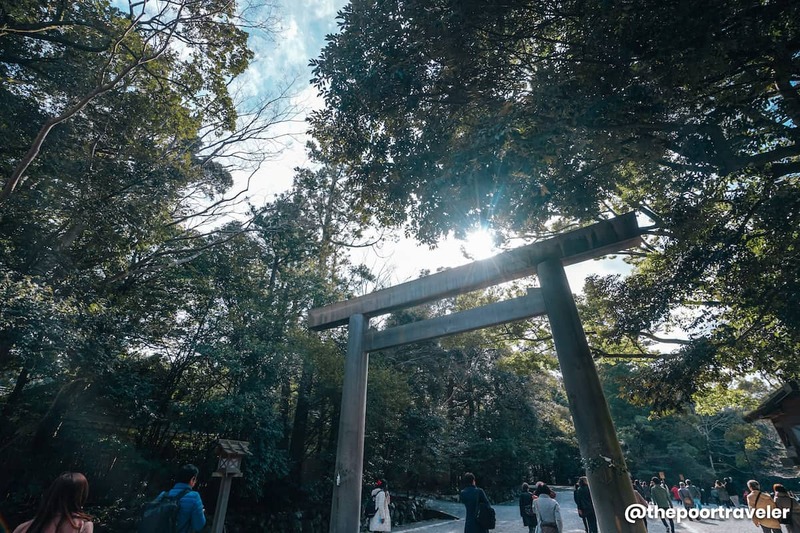 Explore: Ise Grand Shrine. FREE. Transit: Take Bus back to Uji-Yamada Station. FREE. Then take Kintetsu Toba Line to Toba Station. FREE. Transit: Take Hachiman Kamado Shuttle. FREE. Eat: Hachiman Kamado Lunch Set. ¥3780 per person if you’re a group of 4 or more and ¥5400 if you’re a party of three or fewer. Transit: Take Hachiman Kamado shuttle service to Toba Station. FREE. Transit: Make your way to your next stop. 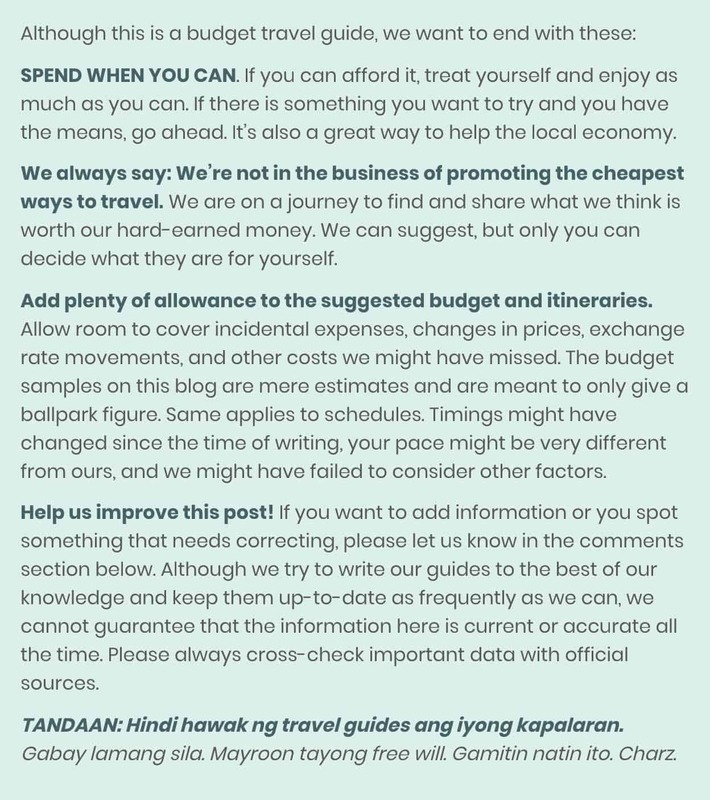 The above itinerary will set you back ¥18,500 (PHP 8810, USD 169, SGD 229) per person, excluding airfare, hotel, visa fee, and travel tax. But we added plenty of allowance to cover miscellaneous expenses we might have missed. Note that the biggest chunk of the budget goes to Hachiman Kamado lunch with the Ama divers. You can skip it if budget is tight, but I strongly recommend that you experience it. 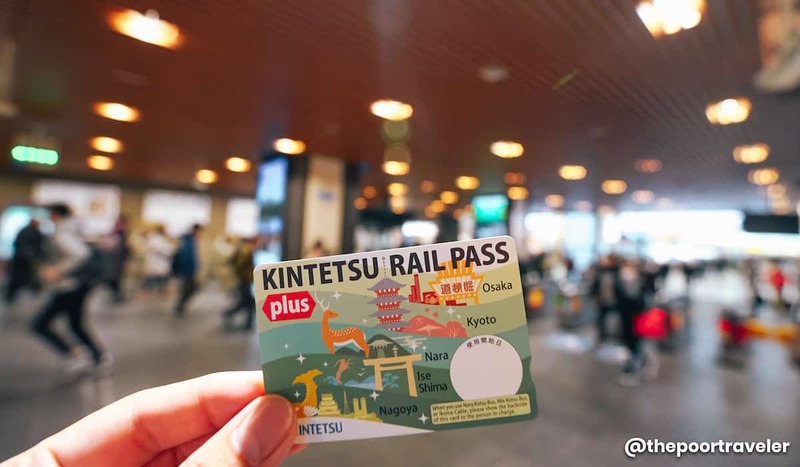 Your only transportation expense is the Kintetsu Rail Pass plus, which covers all legs of the journey. 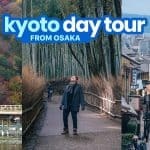 If you don’t have a Kintetsu Rail Pass plus, this itinerary would normally cost around ¥7000 on transportation, but you only spent ¥4800 on the pass. That’s already ¥2000+ worth of savings! Also, remember that the pass is valid for 5 days but we only used it for 2 days. If you’re staying longer, you can take advantage of this even more! 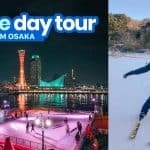 The above itinerary assumes you’re coming from Osaka and involves an overnight stay in Nagoya. If you don’t have a place to stay and your primary consideration is location, here are some hotels you might want to consider. In Nagoya: Sancoinn Nagoya Shinkansenguchi, located just in front of Nagoya Station, which means you can easily access a lot of tourist attractions. It’s relatively cheap (in Japanese standards) but gives you everything you need for a good night’s sleep. It’s neat, comfortable, and centrally-located. 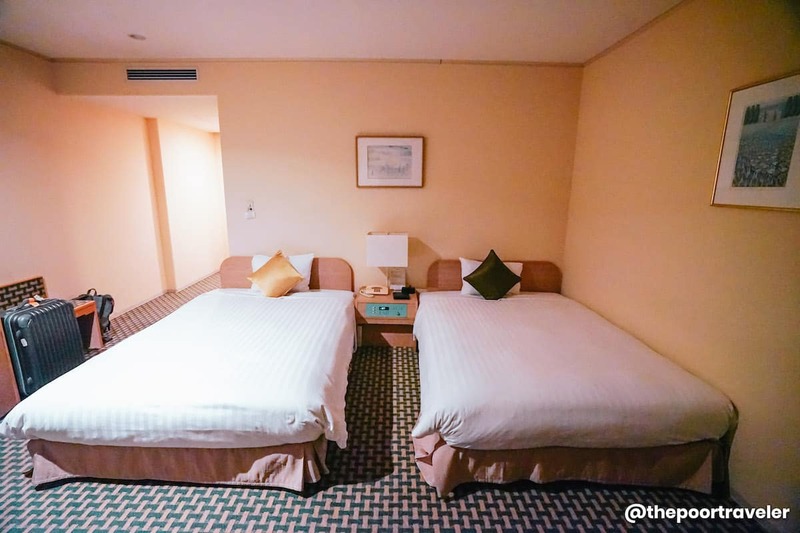 In Osaka: Tennoji Miyako Hotel, located very close to Tennoji Station and practically attached to Osaka-Abenobashi Station. We were actually surprised because when we went to the basement level of the hotel, the elevator door opened and voila, we’re already at the train station. This also makes the subway lines of Osaka easily within reach. It’s also just a block away from Abeno Harukas, the tallest building in Japan. And if you’re coming from or going to the airport, the Kintetsu Airport Limousine Bus Stop is conveniently just around the corner.